If you really want to see results from your exercise routine, HIIT (high-intensity interval training) is the way to go. From boxing to climbing, bodyweight exercises to burpees, there are many varieties of HIIT on offer in London. Here are our favourites. If reading about all that fierce cardio is already making you feel tired, why not try a slower-paced (but just as good for you) yoga, Pilates or barre class instead? An Australian fitness phenomenon that’s hit the UK with a vengeance (there will soon be 20 studios in London), F45 offers numerous high-energy classes, ranging from cardio sessions such as Athletica and Foxtrot to weights and resistance-focused classes, including the latest addition, Moon Hopper. Need motivating? 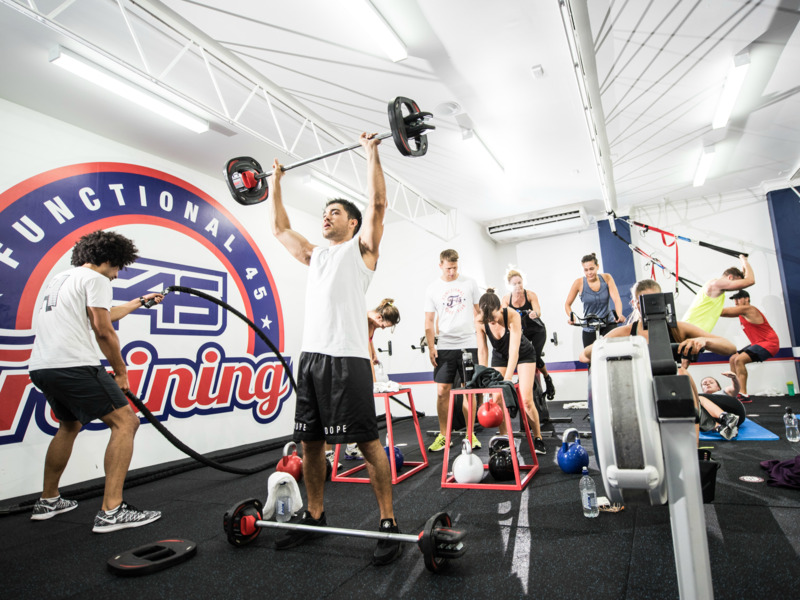 F45 has a team spirit that’s hard to beat, and has retained its Aussie charm by employing some of the most enthusiastic fitness instructors in London. Various locations. £19.50 per class, membership from £175 per month. 1Rebel is so cool it hurts (especially when you’re 45 minutes into a workout). Exposed bricks, copper piping and dark paintwork give the studio an industrial feel that’s offset by fancy toiletries and a smoothie bar. Reshape is the club’s best HIIT class and is available in different formats: full body, upper body or lower body, plus abs. Whatever you pick, your time is split between intense strength training using dumbbells and short, sharp bursts on the treadmill. Prepare for some serious sweat. Various locations. £20 per class, membership from £69 per month. Virgin Active offers a range of HIIT classes, from Circuits to Grid Active, but the latest is H.E.A.T. (that’s high-energy athletic training). This class does what it says on the tin, with 20 minutes of aerobic exercise, a segment focused on strength, and finally the power phase, which fatigues the muscles with explosive sprints and speed work. Phew. Kensington, Twickenham and Mansion House. Membership from £84.99 per month. 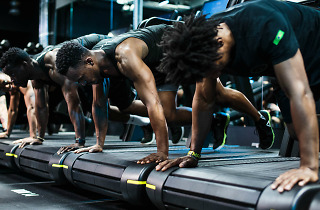 Gymbox is known for its wealth of quirky classes, and HIIT lovers will not be disappointed by Amrap: a morning session set to the dulcet tones of rap stars including Busta Rhymes and Kanye West. Don’t be lulled into a false sense of security by the 12-minute stretching session at the start; you need it to survive tough rounds of exercise including weighted lunges, squats and, of course, burpees. The class finishes with the ten-minute Amrap challenge (it stands for As Many Rounds As Possible, in case you’re wondering). You’ll deserve a good (read: enormous) breakfast afterwards. Various locations. £20 per class, membership from £63 per month. 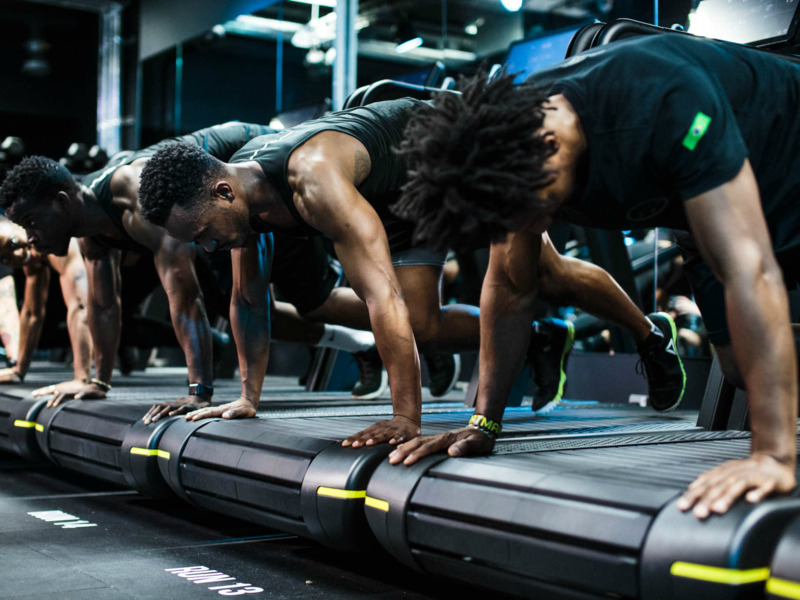 If you’ve never come across a SkillMill before, Digme’s high-intensity class, Matrix, is the time to get acquainted. 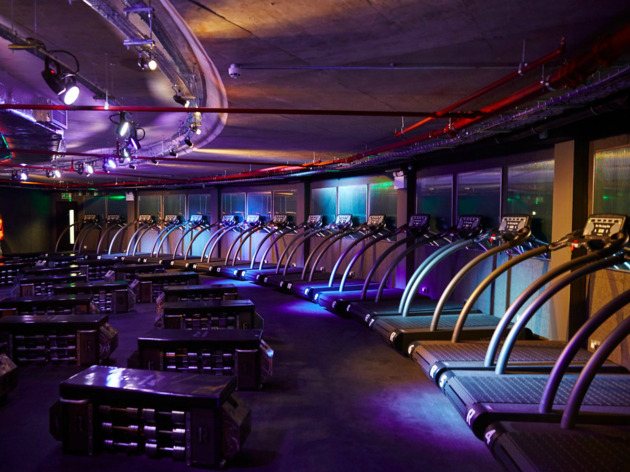 It’s essentially a treadmill but without the power – all the movement of the belt comes from your legs. As well as the ‘Run’ section (a real killer), this class contains a ‘Condition’ element with TRX and kettlebells, and a ‘Move’ segment with bodyweight exercises. You’ll be feeling the burn days afterwards. Various locations. £20 per class, membership from £119 per month. 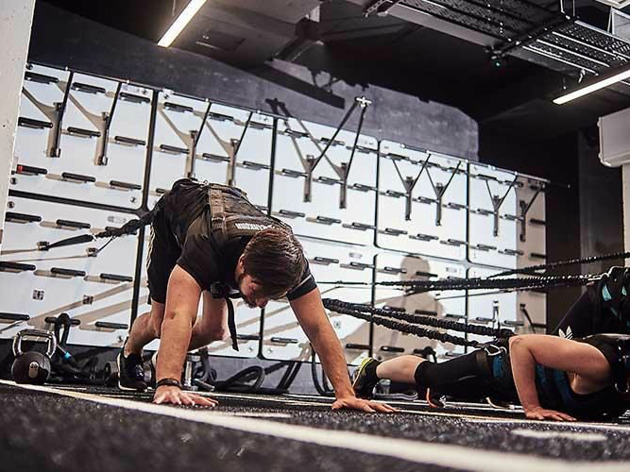 Crouch End is about more than playgroups and swanky coffee shops, you know – it also offers the opportunity for some serious working out, courtesy of Centric: 3Tribes. Originally a yoga studio, this luxurious space now offers Warrior, a 60-minute interval training class where ‘Spartans’ are split between treadmills and weight stations. Helmet and spear optional. Thankfully. 71 Crouch End Hill. £15 per class, membership £95 per month. 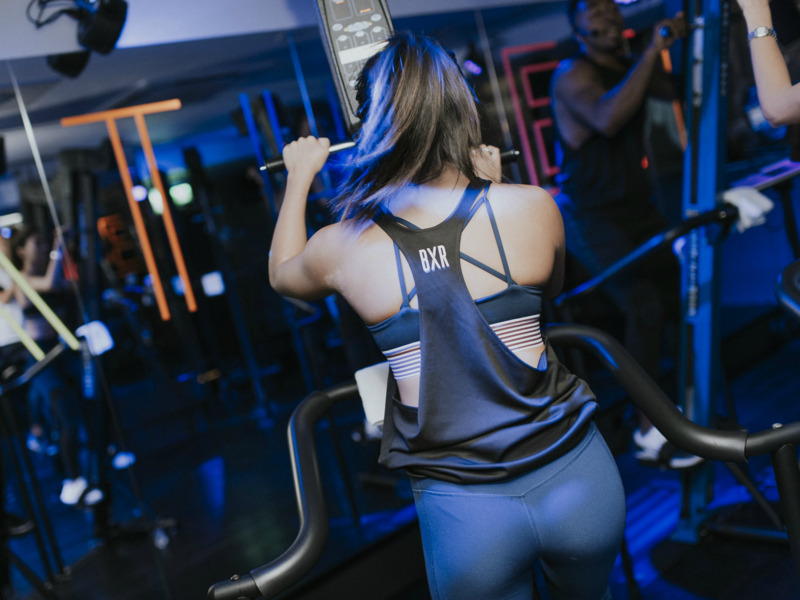 Perhaps best known as ‘the Anthony Joshua gym’ (he is one of the founders), BXR is also gaining traction with its VersaClimber class. Using an unusual bit of kit, which is basically a vertical beam with handles and foot pedals, this is essentially the climbing version of spinning – and an excellent fat-burner. Over the 45-minute class you work through intense bursts of activity interspersed with short recoveries, all set to a playlist designed to help you power through. You got this. 24 Paddington St, Marylebone. £15 per class, membership from £180 per month. 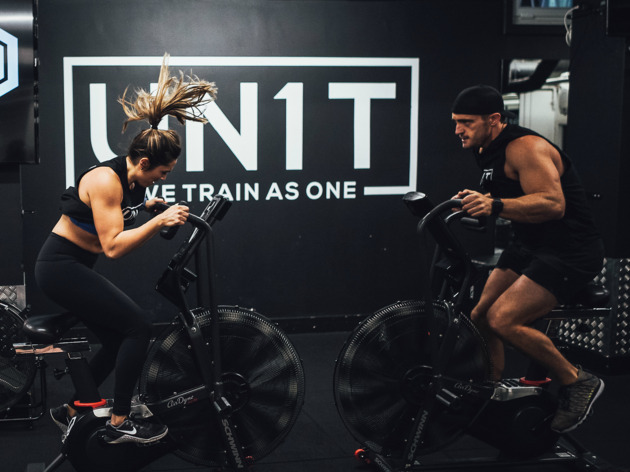 If you’re the kind of person who gets bored quickly – and likes to be surrounded by people with great abs – UN1T is for you. The studio offers a rotation of different classes, including cardio and strength-based sessions, so you won’t find yourself repeating the same old exercises. Each class works as a circuit, seeing you gasp through everything from fast-paced Ski Ergs and press-ups to sprints around the block. London Bridge and Fulham. £20 per class, membership £195 per month. 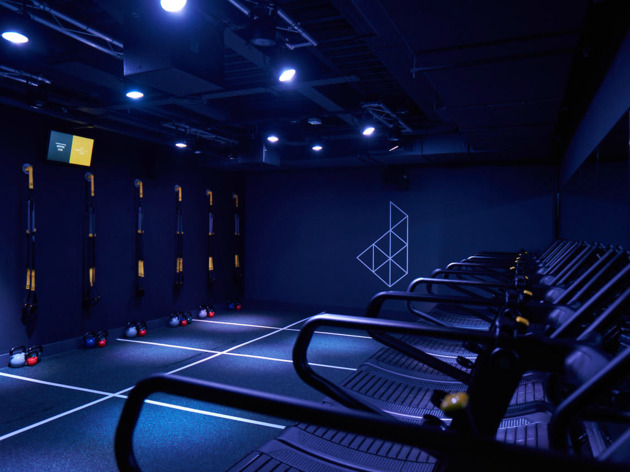 Classes vary daily at Sweat It, a new studio in Aldwych focused on interval training. Sessions are split between cardio on the treadmill, and strength and conditioning exercises on the rig. 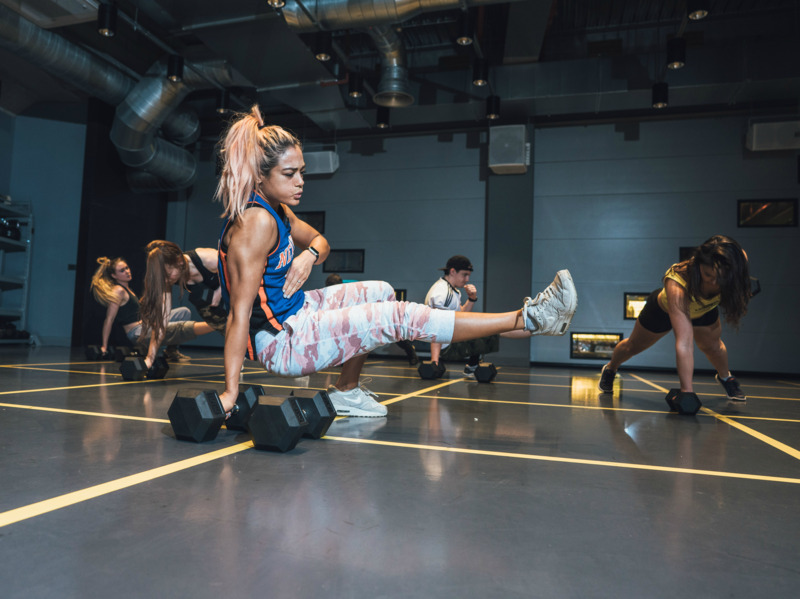 The toughest class is Friday’s Guts & Glory session, an all-out, 50-minute sweatfest, while the most popular is Engine Room, which focuses on explosive movements to tone up the lower body. 4 Kean St, Aldwych. £21 per class, membership from £65 per month. Born in LA, the Mecca of fitness, Barry’s has taken London by storm, winning plenty of celebrity fans in the process. 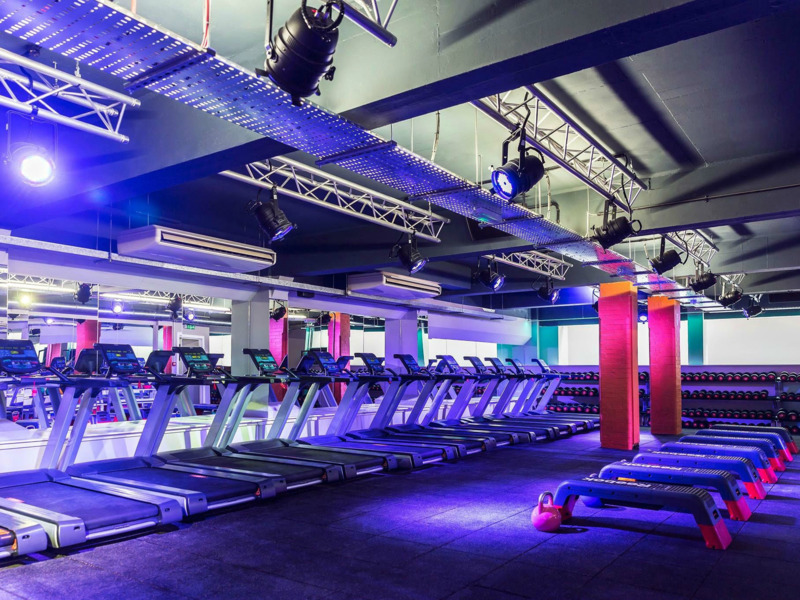 The studio’s red lighting apparently makes you look better when you sweat, which is handy as you slog through sprints on the treadmill before switching to the floor for mountain climbers, V sit-ups and burpees. After 60 minutes swapping back and forth, you’ll need that flattering glow – and a pre-ordered protein shake from the bar (we recommend Simply PB). Various locations. £20 per class, membership from £192 per month. 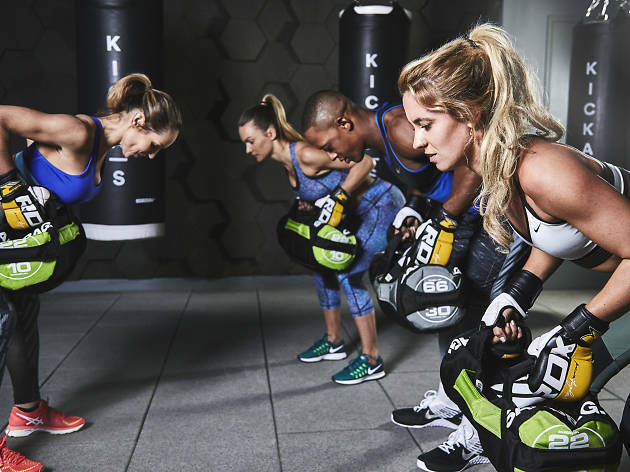 The perfect way to dissipate all that commuting stress, Another Space’s HIIT 45 class allows you to smash out your frustration on punchbags that are suspended around a small but well-equipped studio. Alternating between boxing drills and floor work, this is a high-tempo class, ideal for blowing off steam after work. 4-10 Tower St, Covent Garden. £20 per class, £105 for six classes.